The other day, my wife wanted to buy a Punjabi dress for a school function. 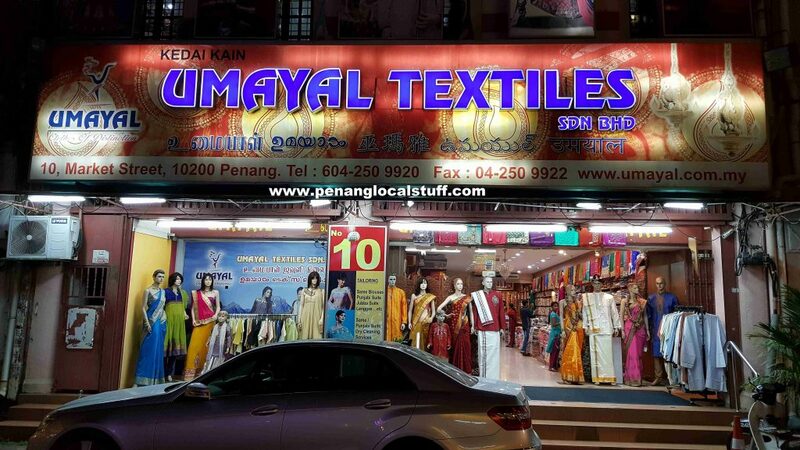 Not knowing exactly where to look for a Punjabi dress, we went down to Little India in Georgetown, Penang to see if we can find shops to buy it from. To our delight, we found that there are many shops in Little India selling Punjabi dresses and sarees. After looking around, we ended up at Umayal Textiles Sdn. Bhd. on Lebuh Pasar (Market Street), near the intersection with Lebuh Beach (Beach Street). 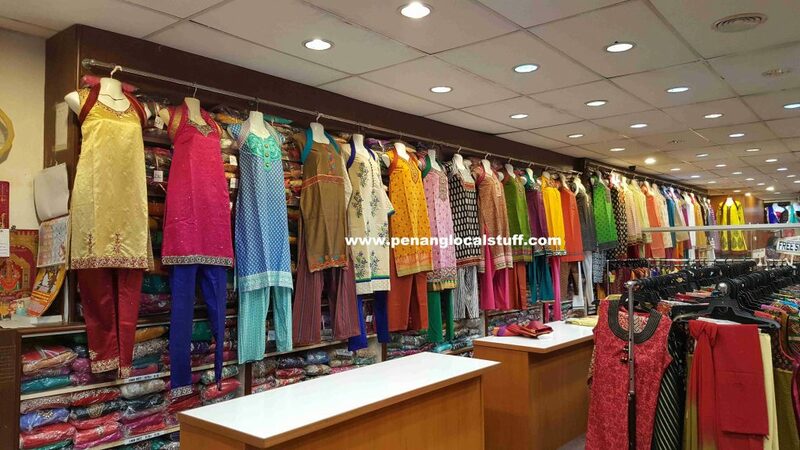 The shop is quite big, and has lots of Punjabi dress selections. My wife tried a few, and picked one with a price tag of over RM400. The sales girl that was with us kept saying that we can get a discount at the payment counter. At the payment counter, we were quoted a price of RM160, seems like quite a discount. Not contented, I negotiated the price down to RM130. I’m not sure if this is a good price, but at least, it was discounted, and my wife was happy to get her Punjabi dress. In our trip to Penang’s Little India, we also found that there are shops selling Indian spices and many Indian restaurants. We are planning to come down here again on a weekend to have a more leisurely stroll in Little India, to see if we will find any other exciting things we don’t know of.